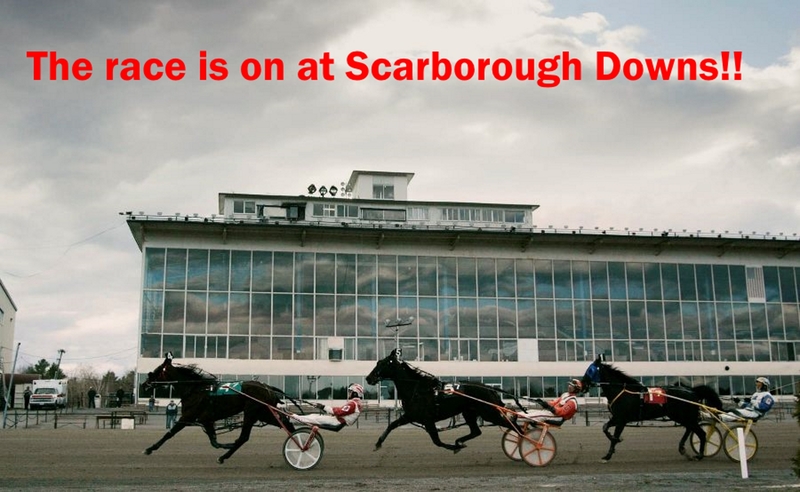 Site Author | Look Out Scarborough! 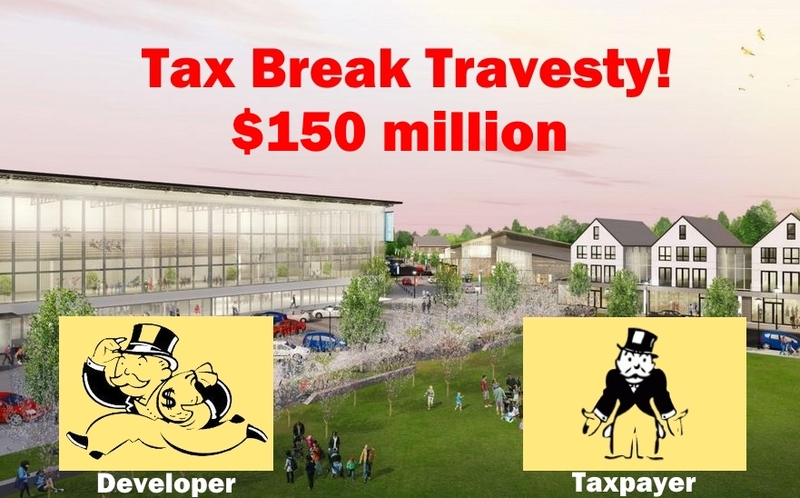 Tax Break Travesty in Scarborough… $150 million! Well, folks, this is the BIG ONE. From those same wacky guys who brought you the Amazon headquarters proposal, here comes an only slightly less outlandish proposal. But a much more serious one. Indeed, deadly serious in terms of Scarborough’s financial future, not to mention our quality of life. 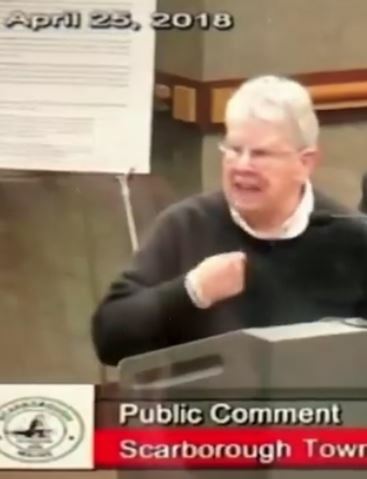 Yes, Town Manager Tom Hall and Council Chair Bill Donovan are at it again. 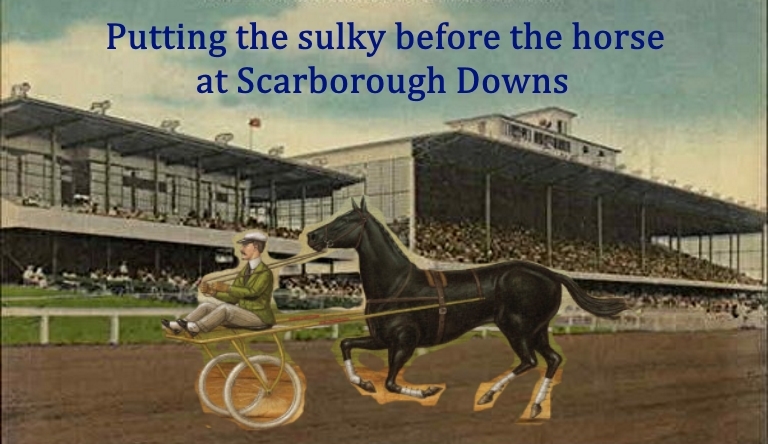 This time Messrs. Hall and Donovan have put their heads (and egos) together and come up with a scheme to create a new “downtown” for Scarborough… and all for a mere $150 million of future tax dollars being paid to the developers. This is the mother of all tax breaks. This proposed mega-boondoggle uses two taxpayer fleecing vehicles: a tax increment financing agreement (“TIF”) and a credit enhancement agreement (“CEA”). Please do not panic! 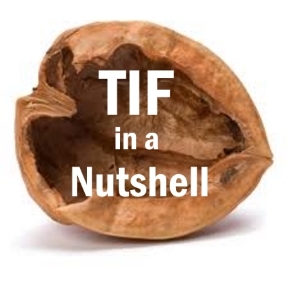 TIFs and CEAs sound intimidating but they just boil down to tax breaks for the developers. At the most basic level, TIFs and CEAs just divert negotiated amounts of future property tax collections to a developer. And when the developer gets a chunk of those future tax collections, those tax dollars aren’t available to support the schools, police/fire and other Town services. And guess who makes up that future shortfall? Bingo! That would be you and me, dear Taxpayer! Yes, the mechanics of TIFs/CEAs can get kind of hairy and complex, but don’t get lost trying to follow all the ins and outs. That’s what they’re hoping for… that we’ll say to ourselves “Oh, gosh, this is too complex for me” and then decide to leave it to the “experts” on the Town Council. Just stay focused on the basic premise: every future tax dollar that ends up in a developer’s pocket has to be replaced by another one from your pocket. 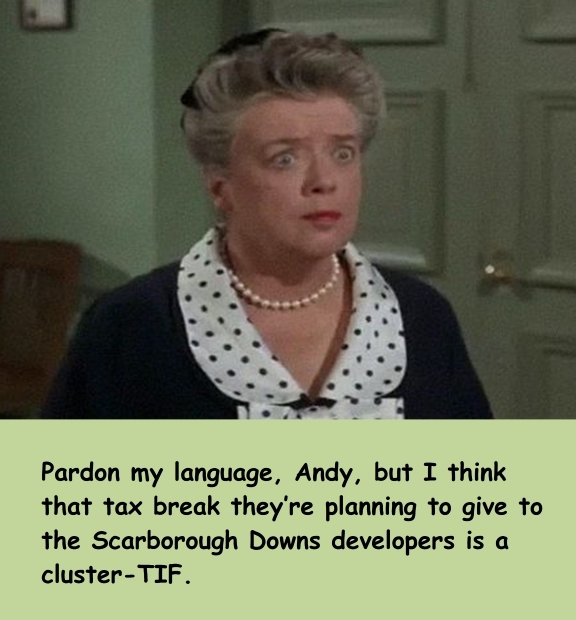 The August 15 Town Council workshop that was supposed to unveil the Scarborough Downs development plan and the related taxpayer fleecing was a complete bust in terms of providing usable information about the project and the related TIF/CEA. Only the vaguest information was presented. This is the largest development project in the Town’s history – it is projected to add $600 million of real estate (apartments building, single family homes, retail/office space, etc.) to the Town’s total valuation. The proposed tax breaks stretch over the next 20-30 years. Its tax impact will last for a generation. How many apartment units are planned? What’s the projected population increase? What type and volume of retail activity is projected? What type and square footage of “light industrial” activity is projected? 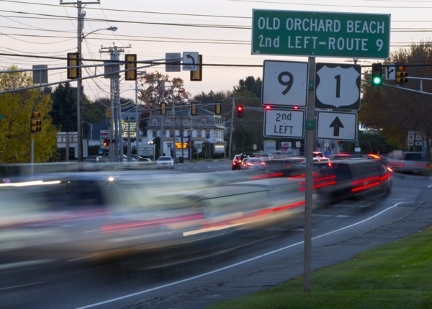 What are the projected traffic impacts on Route 1, Payne Road, etc.? No – incredibly – the fact that those questions have not been answered doesn’t appear to bother most Town Council members. As of now, we are absolutely clueless about the impact of the project on the Town over the next 10-20 years, but that doesn’t matter to them. Let’s sign that agreement for a $150 million tax break to the developers for a project that no one really understands. And let’s do it in the next 30 days! (They are local developers, after all.) Ahh, the joy of public/private partnerships! Exploding Offers (artificial deadlines) – an exploding offer contains an extremely tight deadline creating pressure on the other party to conclude quickly. The purpose of the exploding offer is to limit the time the other party has to consider alternatives. (Andrew Boughton in Hard Bargaining, Negotiation Basics. 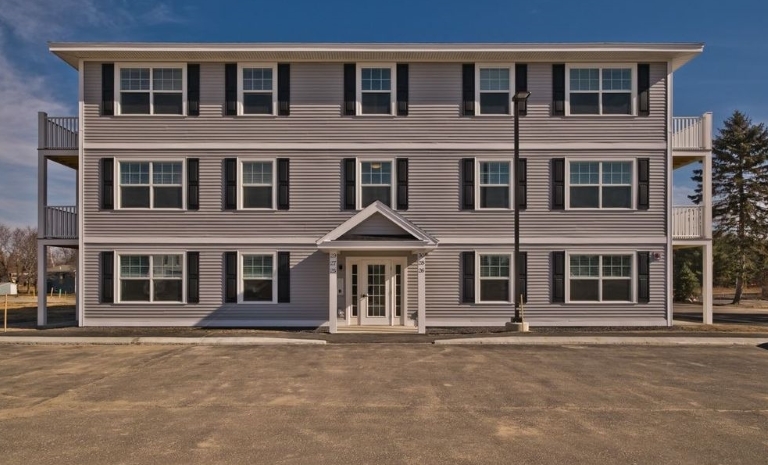 Bottom line: this 30-year deal that provides the developer with a $150 million tax break has to be approved at the October 3 Town Council meeting or the whole deal is off. If there were ever a bluff to be called, this would be it. Who promised what and when? Speaking of how naïve we dimwitted taxpayers are… they think we don’t realize that this deal has been in the works for many months. The developers closed on the property in January. We would be astounded if the basics of the deal between the Town and the developer hadn’t been agreed to well before the property was purchased. Nothing in writing, of course. More like a gentlemen’s understanding, probably. Who in their right mind would purchase a property that was going to require a $150 million tax break from a town in order to be successful without first having a very high degree of certainty that such a tax break would be forthcoming? Only a very dumb developer would buy the property without knowing that a tax break was pretty much in the bag. And the Five Brothers are not dumb developers. 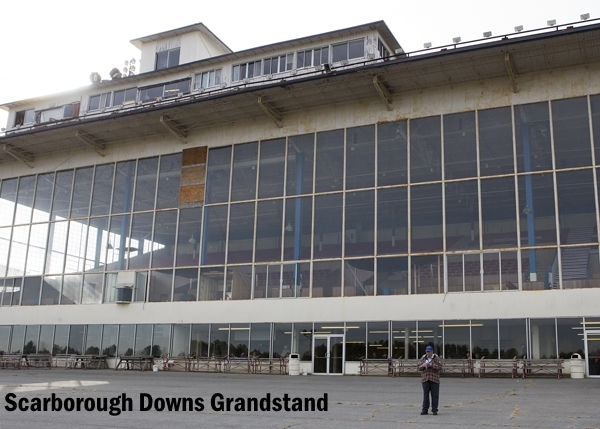 Apparently the numerous previous prospective buyers of the Downs couldn’t arrive at a similar understanding with Town officials. 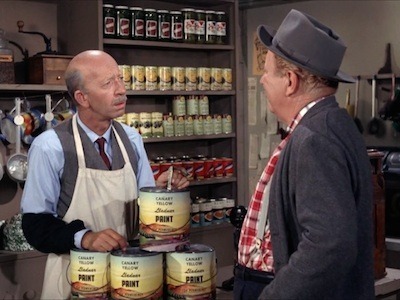 It pays to shop locally! A Lesson Not Learned – Is It Just Blinding Arrogance? 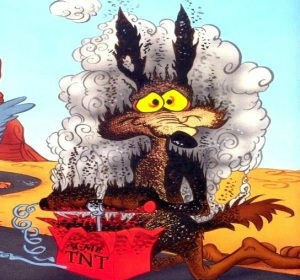 You would think that after three School Board members were recalled (by a lopsided margin) that it might occur to the remaining Town leaders that they’re doing something wrong. But, nooooooo, not our Town leaders! They have an amazing gift of avoiding introspection. So the bad behavior – lack of transparency, lack of respect for the public’s wishes, failure of processes – continues. And in the case of this TIF, with potentially devastating consequences to the Town in terms of both finances and quality of life. All that and more. Stay tuned. 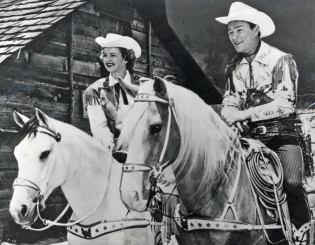 If you’ve enjoyed this blog, please share it with friends. 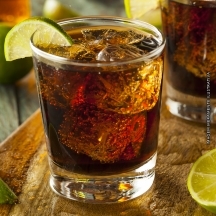 This entry was posted in Uncategorized on August 20, 2018 by Site Author. 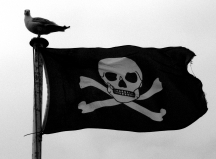 Pirates Plunder Scarborough as School Budget Vote Looms! Arghhh, Mateys! 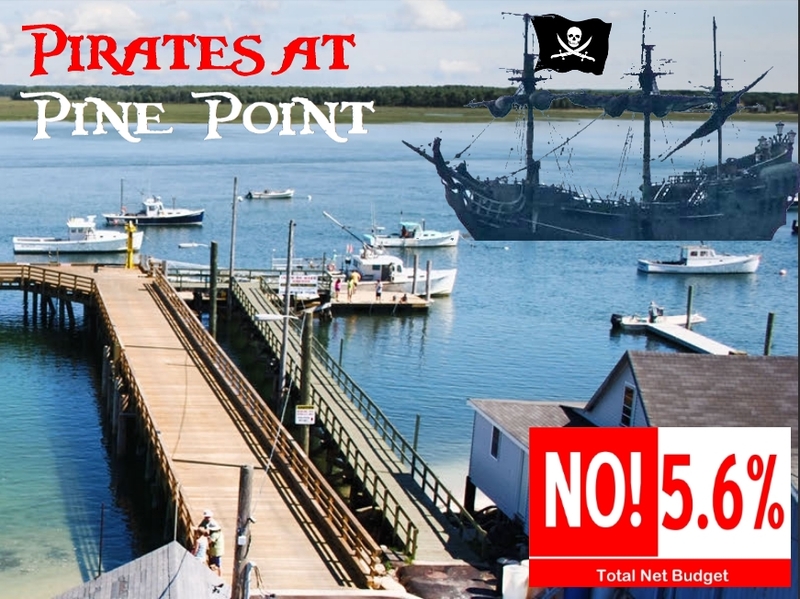 Just in time for the budget, the pirate ship Tax & Plunder was seen approaching the Co-op dock at Pine Point! The black-hearted buccaneers are coming again for your hard-earned doubloons! Fear not, though, LookOutScarborough is here to protect you from the scurvy wretches! It’s time once again to vote on the school budget. We had hoped that the Town Council would stick to their promise of producing a budget that would satisfy the majority of folks in town and pass on the first ballot. Alas, they did not keep that promise, and we have no choice but to urge a NO vote on the school budget on June 12. Yes, the amount of taxes to be raised for municipal and school purposes is $65.9 million, an increase of $3.5 million or 5.6% over last year. That’s just not fiscally responsible. The amount of taxes to be raised just for the schools is $44.7 million, an increase of $2.5 million or 5.9% over last year. Again, not fiscally responsible and not affordable for many Scarborough residents. Several Town Council members swore up and down that they wouldn’t approve a budget that increased the tax rate by more than 3%. But guess what, the tax rate increase is 4.4% when you don’t consider the impact of the commercial revaluation! And that revaluation impact was not part of the original pledge to keep the increase at less than 3%. 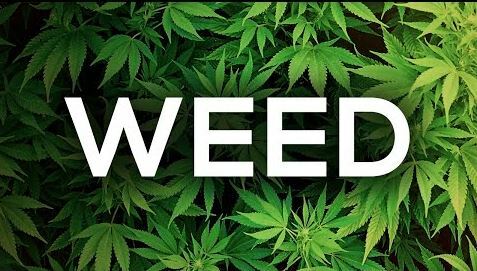 Councilors Babine, Caiazzo, Caterina, Donovan and Rowan – you’re busted! Let’s hold their feet to the fire! 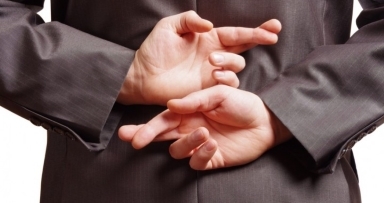 This year’s scam was the commercial property revaluation. That revaluation process produces a significant automatic tax rate decrease. The Town Council didn’t have to “work hard” to cause that decrease. But they have used part of that automatic decrease to offset additional spending. 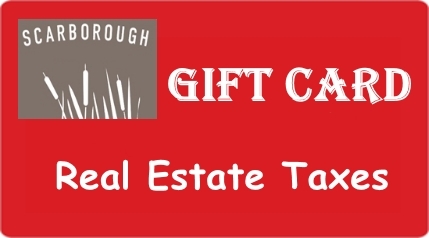 Councilors Babine, Caiazzo, Caterina, Donovan and Rowan – stop playing the residents of Scarborough for fools! When the Town Council briefly toyed with the idea of legitimately meeting their target of a less than 3% tax rate increase, Town Manager Hall and Superintendent Kukenberger were asked to provide lists of proposed reductions from the submitted budgets. While the Town Manager offered some reasonable proposals, the Superintendent was essentially defiant, insisting that the only way to make any reductions to her $48.5 million expense budget was by cutting teachers. 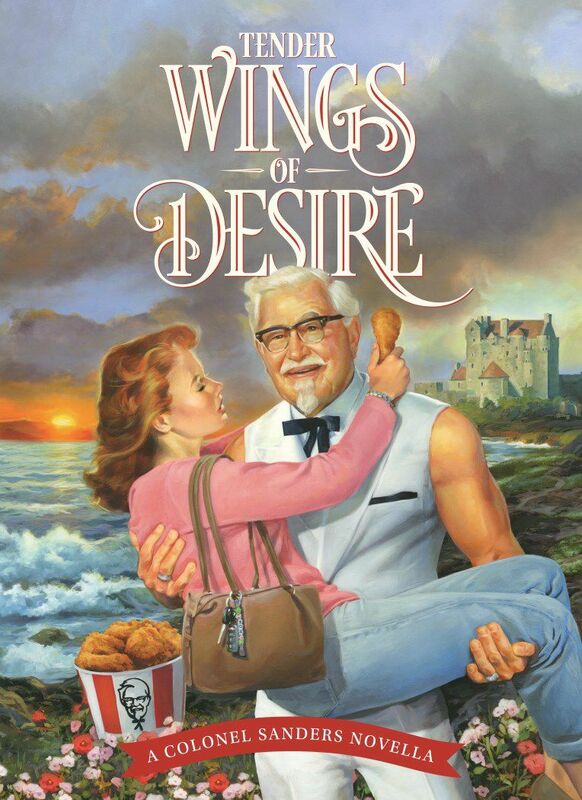 This did not pass the straight-face test. 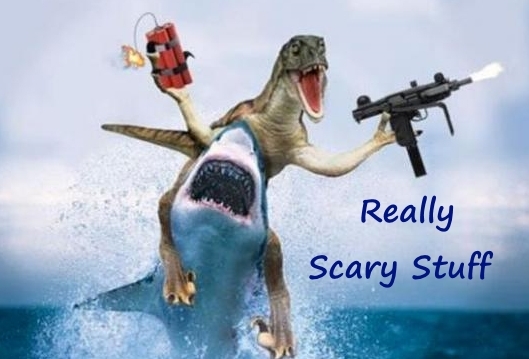 Dr. Kukenberger, enough with the scare tactics! We hear that one of the buccaneers often ventures further inland for his daily rations of grog, so be on the look out. Apparently it escaped Superintendent Kukenberger’s notice, but the overwhelming recall vote applied to her as well the three School Board members. Some have reported that she is waiting for the golden handshake. (It could be a long wait.) 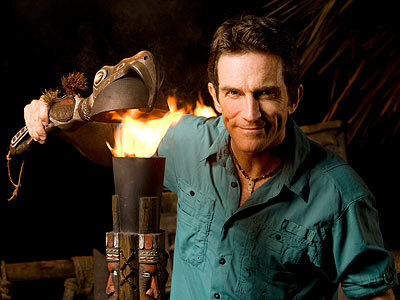 Dr. Kukenberger – you have been voted off the island. It’s time for you to go! 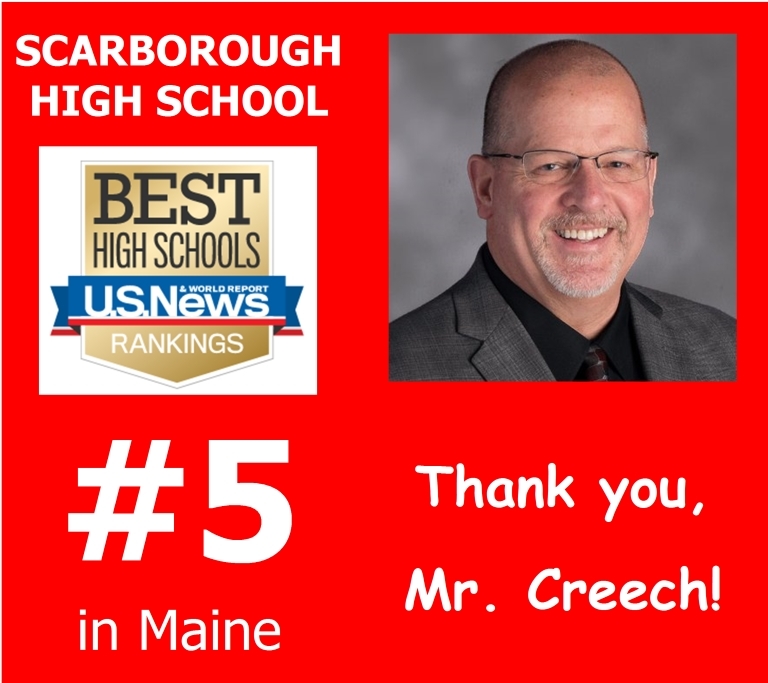 Scarborough High School marches up in the rankings! Interestingly, the School Department seems to be giving this piece of positive news a good leaving alone. Why would that be? Some have suggested that a NO vote is “holding the school budget hostage.” We would argue that a NO vote is holding the Town Council accountable. 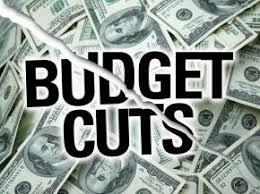 There will be no dire consequences to the school budget if it is voted down. Please don’t believe that hype. A NO vote is a clear message to the Town Council that modest adjustments need to be made to both the municipal and school budgets to arrive at a tax rate increase that at least meets their own goal of less than 3%. Is that too much to ask? 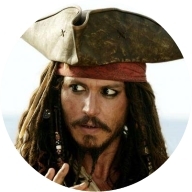 Well, mateys, that’s all for now. Time for an appropriate summer beverage. If you haven’t voted yet, please take advantage of the easy early voting at Town Hall through June 7. Avoid the election day rush! This entry was posted in Uncategorized on June 4, 2018 by Site Author. 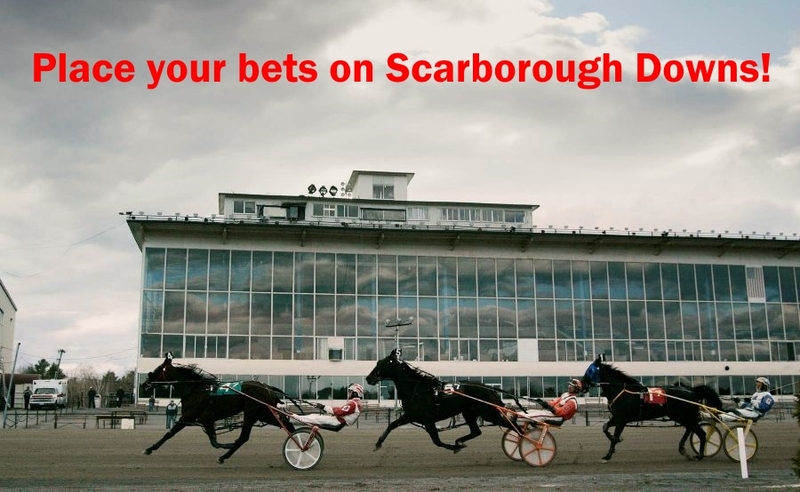 Well, friends, there’s probably one thing we can all agree on – it’s never boring in Scarborough! The May 8 School Board recall election has come and gone. And in a few days, those three School Board members will be gone, too. The margin favoring the recall was overwhelming… nearly two to one. Perhaps that margin shouldn’t have been a surprise, though. While most of the voters undoubtedly focused on the specific school issues in casting their votes, we are quite certain that a significant number of folks were actually voting on town and school leadership in general. They’re not happy with it. And when the Town Council arranged the shotgun recall election, folks really got their dander up. 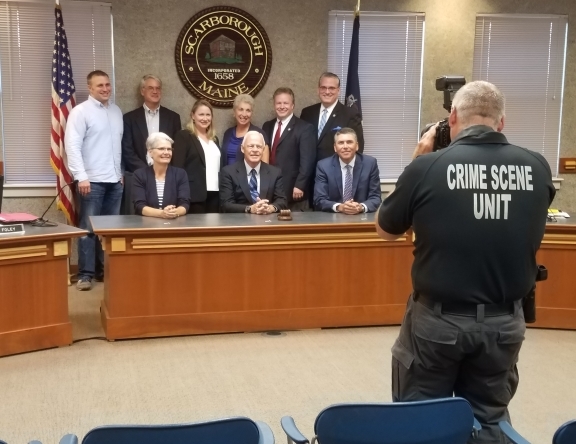 If they were capable of introspection, perhaps this would be a good time for the Town Council members to step back and reevaluate the way they conduct the public’s business. The current approach isn’t working out too well – as demonstrated by the lopsided recall margin. Well, it’s May so it must be time for a budget battle in Scarborough. In fact, if there weren’t some sort of budget ruckus, you might think you had somehow moved to Buxton or Kennebunkport without realizing it. But the budget discussion is a bit different this year than in the past. 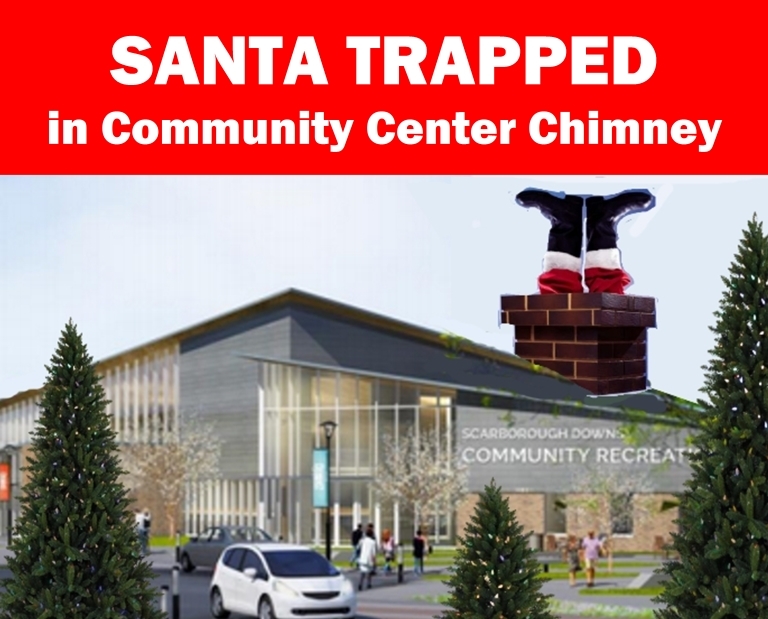 Yes, Town leaders have come up with a brand new way of fleecing the taxpayers! 1. 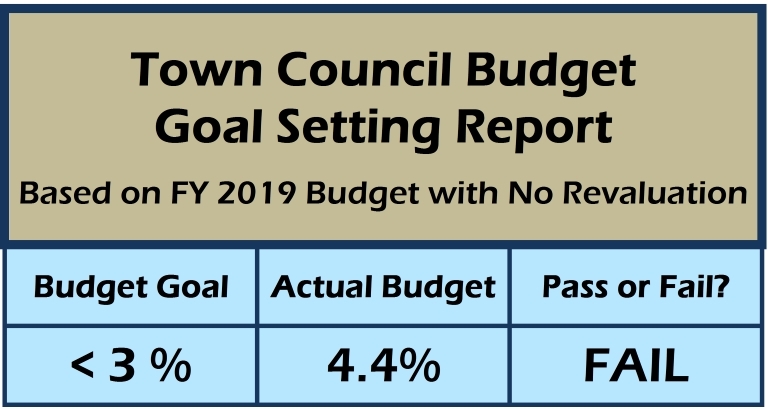 You may remember that in January the Town Council set a goal of achieving a tax rate increase of less than 3% this year. Let’s assume for a minute that less than 3% was a reasonable goal for the coming year’s tax rate increase, especially in light of the recent tumult in town. 2. This spring, the Town Council announced that the Town’s commercial/industrial properties would be reassessed in time for next year’s property taxes. It turns out that those properties have been severely under-assessed for several years now. Apparently at less than 70% of their actual value. Which means that we residential property owners have been picking up more than our fair share of the real estate tax burden for a few years. And should get tax relief from the revaluation. 3. 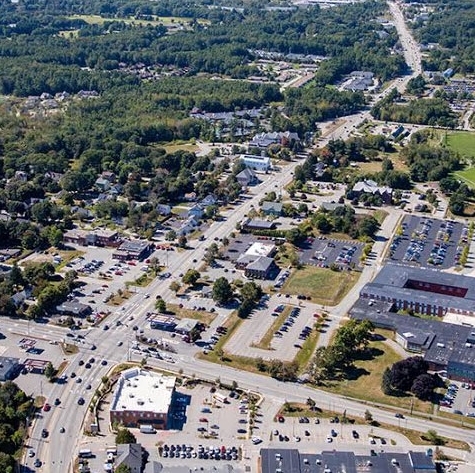 The revaluation of the commercial properties will add a significant amount – perhaps $100 million to $166 million or more – to the Town’s tax base of just over $3 billion. When you increase the tax base while keeping the amount of taxes raised constant, you automatically reduce the tax rate. The commercial revaluation significantly reduces the overall tax rate. 4. So here’s the grift: When you do a revaluation, it is supposed to be “revenue neutral.” That means that the reduction in the tax rate should NOT be used to offset additional municipal/school spending. The full impact of the revaluation should be used to reduce the tax rate. And guess what the Council is doing in the Fiscal 2019 budget? That’s right, you have correctly guessed that town leaders are using a good portion of the tax rate reduction to do what they’re not supposed to – funding spending over and above the level of their original 3% goal. Illegal? No. Sound financial policy? Nope. Deceptive? Totally! So what’s the bottom line impact here? 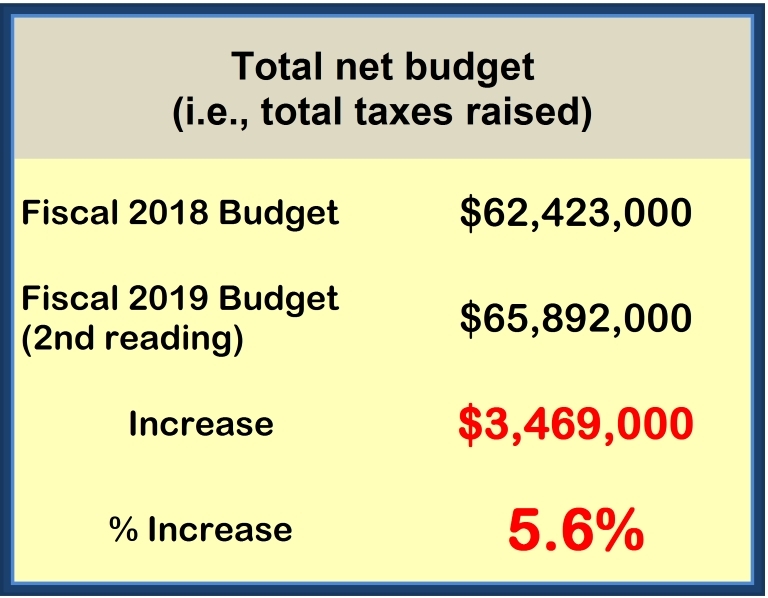 TAKE-AWAY #1 –– The total net budget – i.e., total taxes to be raised – is up 5.6% compared to last year as shown here. That sort of increase in total taxes raised doesn’t exactly indicate fiscal restraint, does it? TAKE-AWAY #2 – The commercial property revaluation has a huge impact on the final tax rate. If the full impact of the commercial revaluation were used to reduce the tax rate increase, it would reduce the rate by more than 4%. So a tax rate increase that would have been 3% without the revaluation would actually produce a 1% decrease in the tax rate with the revaluation. 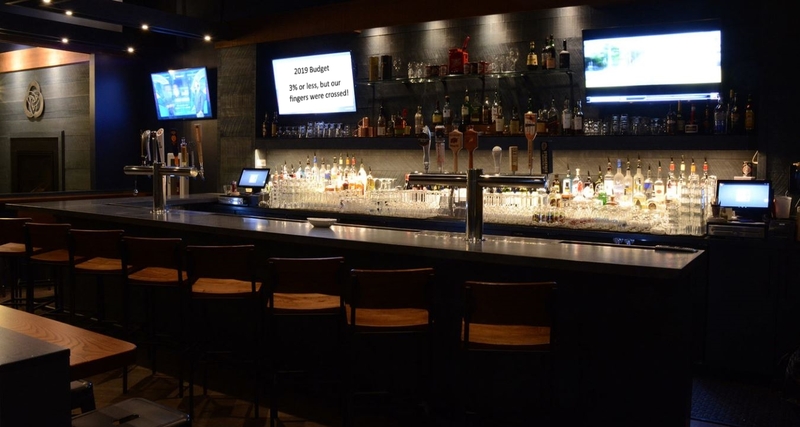 TAKE-AWAY #3 – The Town Council missed their goal of a less than 3% tax rate increase when you exclude the impact of the commercial revaluation… which you should. TAKE-AWAY #4 – The proposed tax rate increase of 1.4% is actually nearly 2% higher than it should be if the Council had adhered to its original goal of less than a 3% increase. In the proposed budget, our taxes are estimated to increase by 1.4% But if the amount of taxes raised to achieve the 3% goal had been met, the tax rate would have actually gone down by .5%. The difference between the two tax rates is 1.9% So the proposed budget is using a 1.9% increase in the tax rate to pay for expenditures over and above the originally set 3% tax rate increase target. Yes, a 1.4% tax rate increase is nice. But if sticky fingers weren’t involve, the tax rate should actually have GONE DOWN one-half a percent. Budget cuts? What budget cuts? All the recent hoopla about reducing the town and school budgets by $750,000 to get to the promised 3% goal was all an unnecessary farce. Designed, apparently, to create community discord. Town leaders knew from the start that they were going to have no trouble coming up with a tax rate increase of 1% to 2% (or less) while at the same time comfortably increasing town and school spending. Then why did we just go through the recent budget charade that raised the specter of eliminating ten teachers or ten municipal workers? It was all theater. Unpleasant theater at that. And they wonder why there is such a high level of mistrust of town and school leaders. Even if you’re fine with the end result of this budget, are you happy with the way it was accomplished – with a complete lack of transparency or public disclosure of what was really happening? Unfortunately, that’s “the Scarborough way.” Remember this when it’s time to vote in November… or perhaps sooner. So when that highly predictable wave of self-congratulations and back patting washes over the Council Chamber Wednesday evening, please resist the urge to stand and applaud. And do not tear up when the tales of how hard the Council worked are told. The hardest work they did was keeping the public in the dark about the true impact of the commercial revaluation until it leaked out this late in the budget process. Why can’t they ever provide the public with the full story? Second, next year’s revaluation of the Town’s residential properties (all our homes) will provide the exact same opportunity for budget sleight-of-hand all over again. 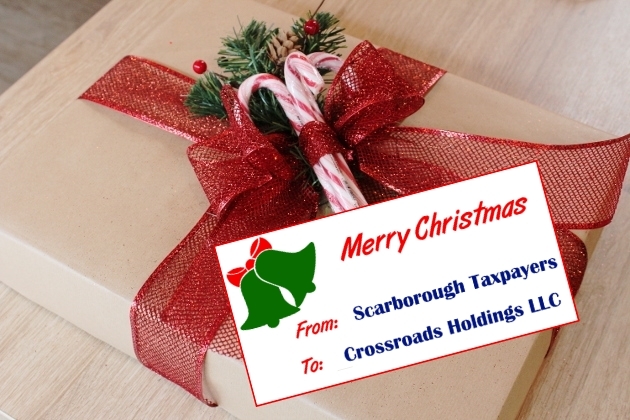 More importantly, some large number of Scarborough homeowners are likely to see significant increases in their tax bills when the residential revaluation occurs. It would have been nice to have had all of this year’s rate decrease to cushion the blow. This entry was posted in Uncategorized on May 14, 2018 by Site Author. 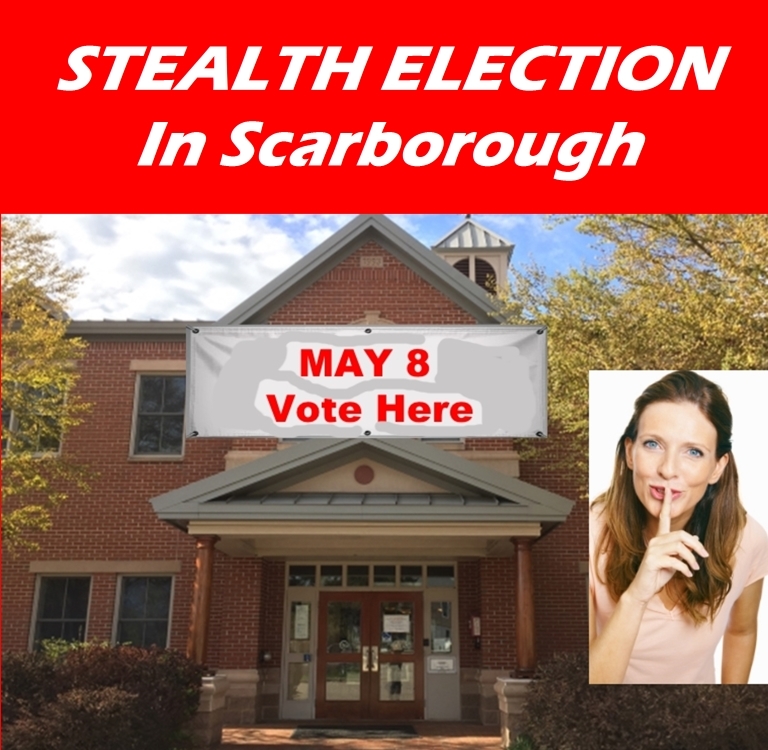 Scarborough’s Stealth Recall Election… Your Vote Needed! As we predicted in our last blog post, the Town Council bulled ahead with a schedule for the recall election that is designed to minimize voter turnout and thereby cause the election to fail the minimum vote threshold specified in the Town charter. 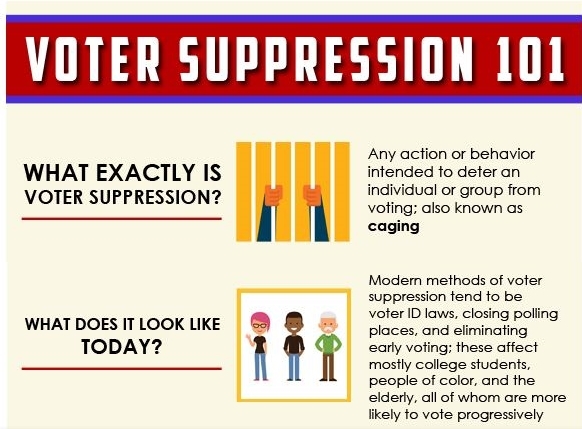 Two Council members, Foley and Hayes, opposed this blatant attempt at voter suppression which is designed to protect the three School Board members who are facing recall on May 8. 2. Do it sooner rather than later since we are dealing with a cynically-short early voting period. 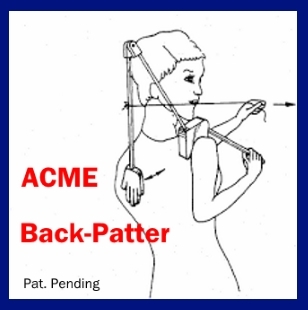 If you take care of steps 1 & 2 above, you are excused from reading the rest of this blog. And you have earned our sincere thanks. 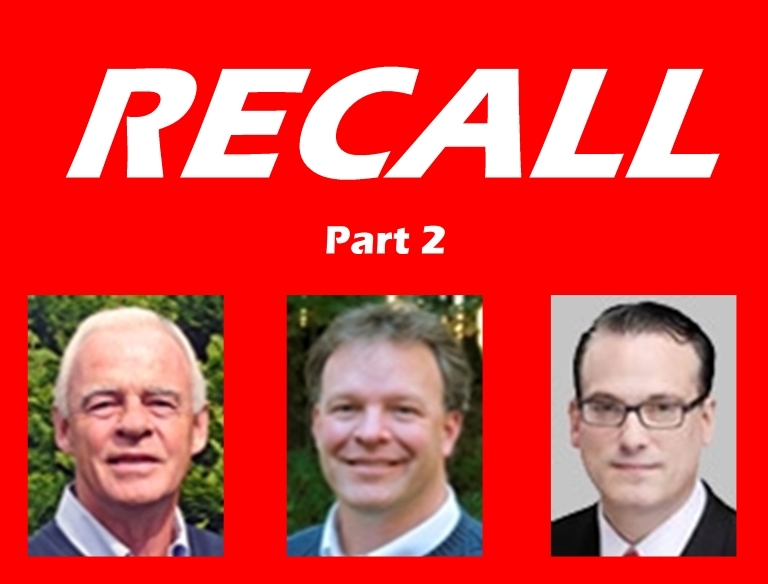 Since the specific issues that propelled this recall effort are school-related, some have wondered why they should care about it and vote. After all, unless you have kids in the Scarborough schools, you probably don’t have a direct link to or interest in the schools. 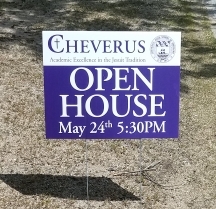 But step back and consider the flood of negative publicity about the Town that has accompanied all the numerous school controversies. The pattern of mismanagement of the schools over the past year has rocked not only the schools but the entire community. The failed leadership of the School Board is at the root of all this bad press. 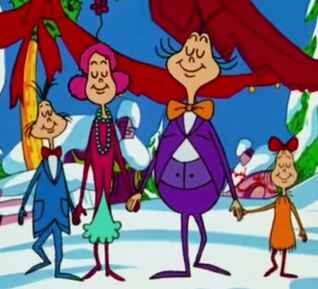 All Town residents have a stake in the community’s reputation. A YES vote will begin the process of bringing effective leadership to the School Board and restoring the Town’s reputation. And the failure of leadership extends to the Town Council. A majority of Town Council members are on record as opposing the recall effort. Their unscrupulous scheduling of the recall election was a blatant and cynical attempt to cause the citizen-initiated recall process to fail. Indeed, many Council members share the same characteristics that are at the heart of the School Board recall – arrogance, lack of transparency and unresponsiveness to community needs. All Town residents have a stake in principled and responsive government. A YES vote will remind some of the Councilors that their responsibility is to the broad community, not to their personal agendas. 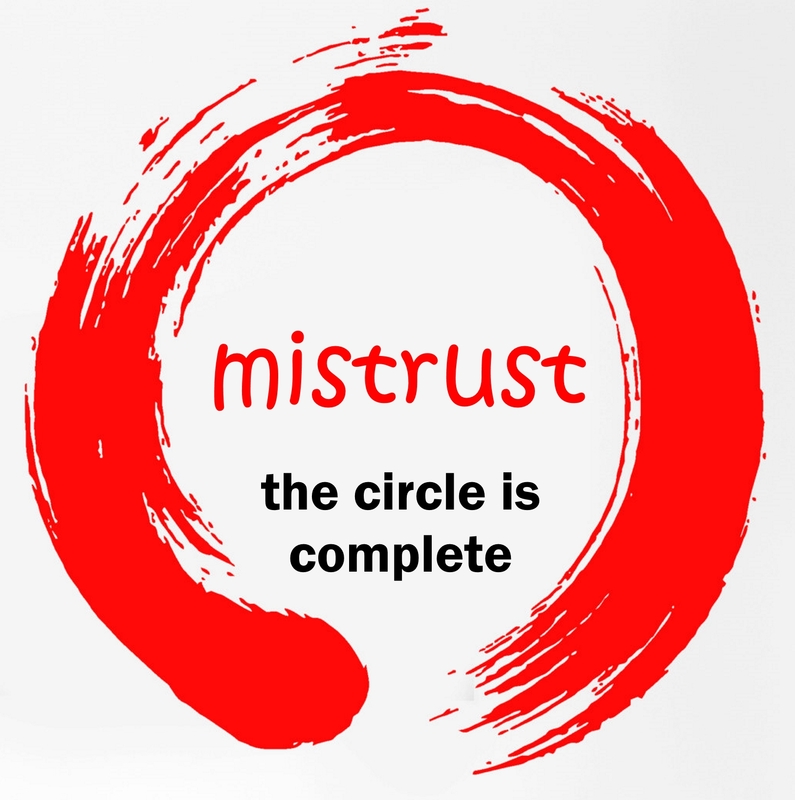 Many citizens have lost trust in Town and School leaders. All Town residents have a stake in having officials whom they trust to do the right thing in the best interests of the community as a whole. A YES vote will let them know they need to work hard on regaining the public’s trust. The first came very early in the proceedings as School Board Chair Donna Beeley called Steven Bailey, the Executive Director of the Maine School Boards Association, as an expert witness of sorts. Mr. Bailey educated the assembled multitude on the finer points of Maine law as it relates to school boards. The gist of his presentation – school board members aren’t answerable to the public according to Maine law. We’ve heard this refrain from our School Board members for years now. Indeed, it is the reliance on this notion – and the arrogance it enables – that explains the frequent disconnects between the School Board and the public. So, just to kick sand in the face of the public, the School Board trots out a legalistic defense of its actions. Way to sway public opinion, guys! 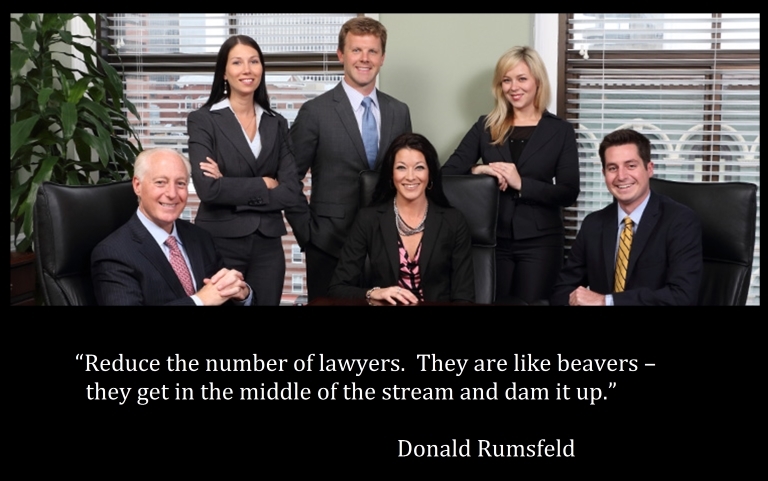 This is what happens when lawyers are running the show. Divulged confidential details of a personnel matter, apparently from a School Board executive session meeting. Here’s a link to the snippet from the Council meeting. 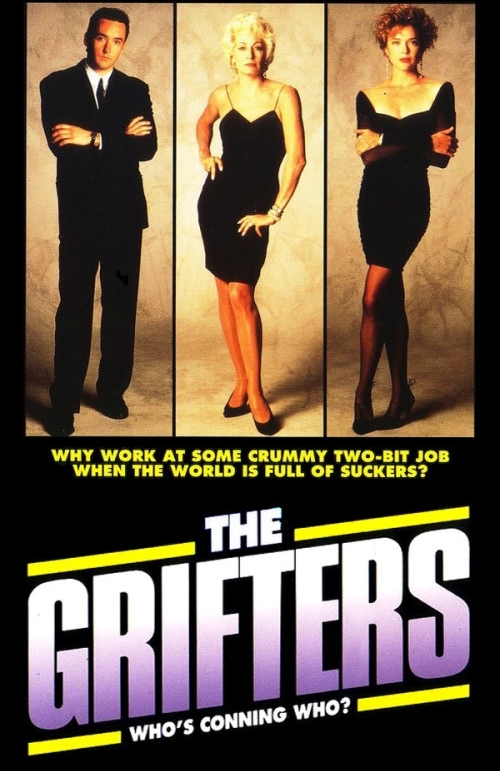 Coming soon to a polling place near you? 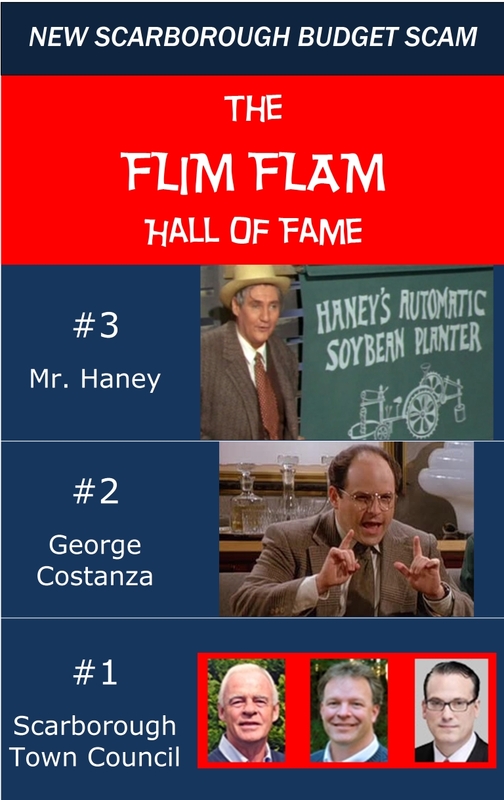 Please remember to vote. Later today would be good, tomorrow at the latest. This is not just a school matter. This is a community matter. Some members of the Town Council don’t want you to vote. Please make sure you let them know that this is not the way you want Scarborough to work. Please vote YES on or before May 8 to start the Town on a new course of transparency, fairness and responsiveness. DISCLAIMER: The author is solely responsible for the contents of this blog. Opinions expressed herein are those of the author and not of any other individual(s) or group. This entry was posted in Uncategorized on May 1, 2018 by Site Author. Expect a loud whooshing sound to come from Town Hall when the Council meets Wednesday night. 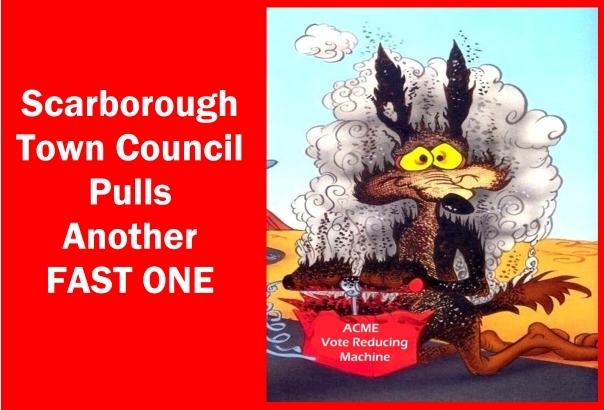 Nothing to be alarmed at… it will just be the Council pulling another fast one on the citizens of Scarborough. 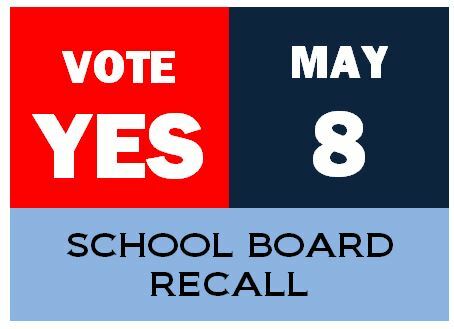 The fast one this time is the scheduling of the School Board recall vote on May 8 – a highly accelerated schedule that will effectively reduce the number of folks who will vote in the election. Again, do not be alarmed! It’s just business as usual in Donovan-land, where personal agendas and autocratic rule replace transparency, fairness and responsive government. So here’s the short version of the story behind the special hurry-up election they’ll be scheduling for May 8. Chairman Donovan and his cronies are deeply offended that more than 3,000 of their fellow citizens had the audacity to sign recall petitions for three School Board members. And the Donovan faction will do anything in their power to prevent the recall from succeeding. The Town Charter requires that 3,147 total votes will have to be cast in the recall election for it to be valid. In other words, if the vote were to be 2,500 to zero to recall the School Board members, the vote would still fail because the total number of votes cast was not large enough, and the three School Board members would continue to serve. So it’s clearly in the interests of the School Board recallees and their supporters to keep the vote total as low as possible so that the 3,147 total vote threshold will not be met. That is the only goal of the Donovan strategy. 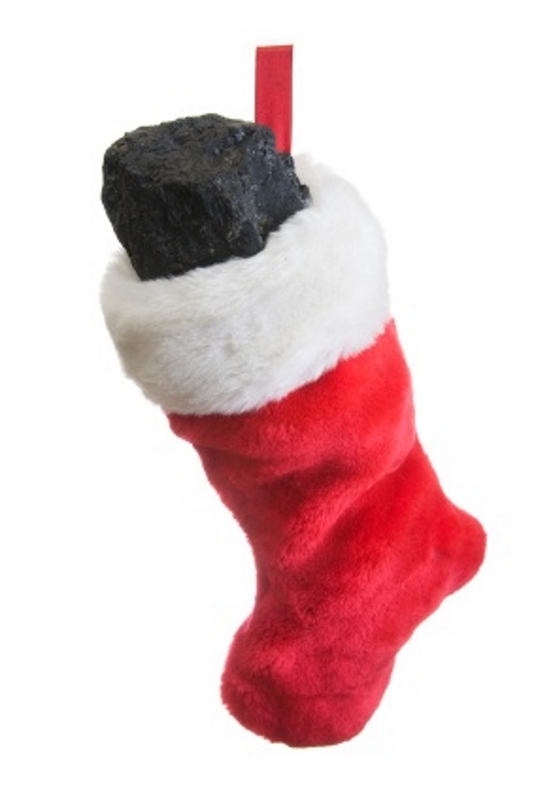 Image courtesy United Steel Workers. Since the Town Council’s Wednesday evening vote to set the election date will come after the deadline for Friday’s edition of The Leader, the May 8 vote date won’t be reported in The Leader until Friday, May 4 – just 4 days before the election. Not much notice, is it? And no time for concerned citizens to submit letters to the editor in The Leader before the election. 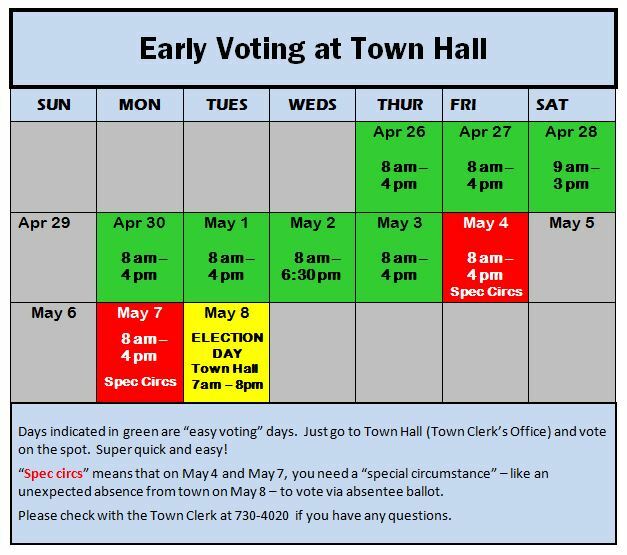 By our calculation (which is the best you’re going to get since there’s nothing on the Town website about it), there will be only 7 days of early/absentee voting — that’s 5 days shorter than any other election we can remember. Historically, about 30% of total votes are cast as early/absentee ballots in Scarborough. And even worse, given The Leader’s deadline cited above, the early (“no reason needed”) voting period will be over by the time the election is announced in the May 4 issue of The Leader. Do you feel like you’re being played yet? In an April 20 memo to Members of the Town Council, Chairman Donovan noted that “May 8 complies with the Charter provisions and is consistent with our practice in scheduling special elections such as School Budget Referendum votes.” [Emphasis added.] Well, Chairman Donovan, not exactly. If you’ll look back at last year’s three school budget referendum votes, you’ll see that the number of days between second reading and the date of the vote were 27, 20 and 20. The May 8 date, however, is only 13 days after the April 25 setting of the vote date – a full week earlier than recent past practice. Indeed, there was such a public outcry at the short timeframe between second reading and the proposed date of the vote on last year’s second school budget referendum that the Town Council adjusted the period between second reading and vote to 20 days from the originally proposed 13. How soon we forget! 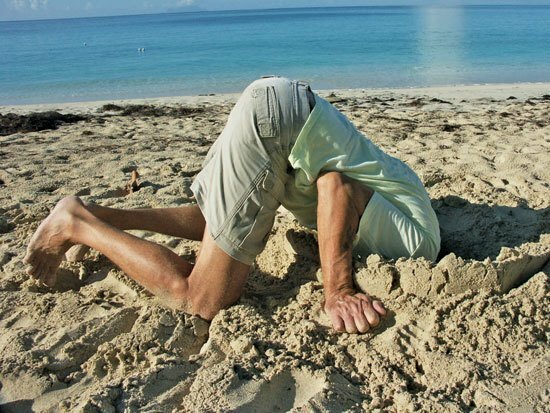 Or, alternatively, how we fail to learn from our mistakes! 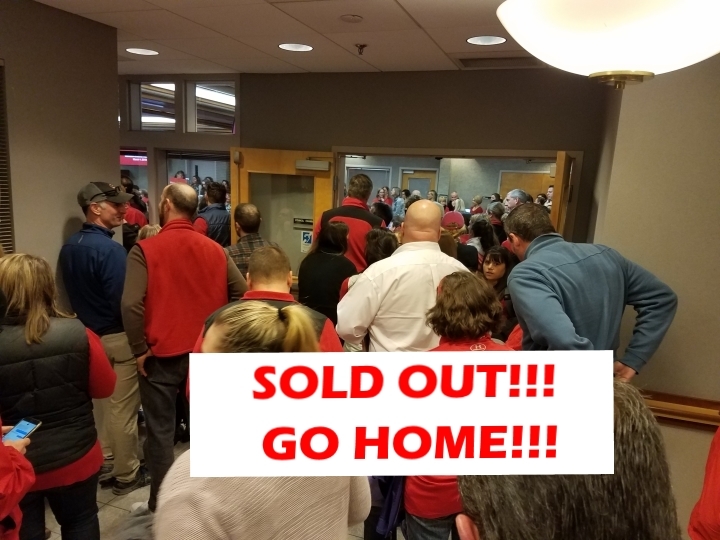 Sorry, Town Council Meeting Sold Out! Chairman Donovan has been on a memo-writing roll these last few days. In another memo posted with the agenda for the April 25 Town Council meeting, he explained the reasoning behind selecting the venue for that meeting, for which a substantial crowd is predicted. 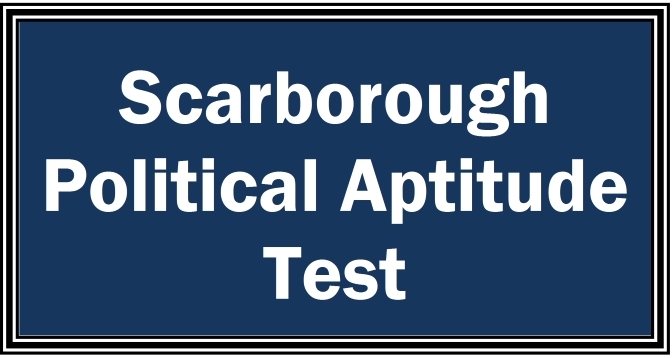 Here’s a chance to test your political acumen! The Town Council Chamber has a maximum capacity of 130. The Wentworth cafeteria/auditorium has readily accommodated 300-400 for a recent School Board meeting. The expected attendance for the April 25 Town Council meeting is more than 200. The question: Where do you hold the meeting? 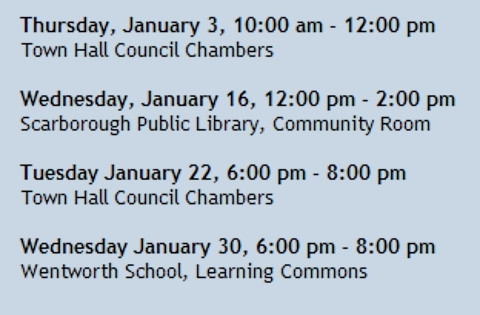 Move the meeting to Wentworth where all interested citizens can view the proceedings in person and provide their public comments in, well, public. 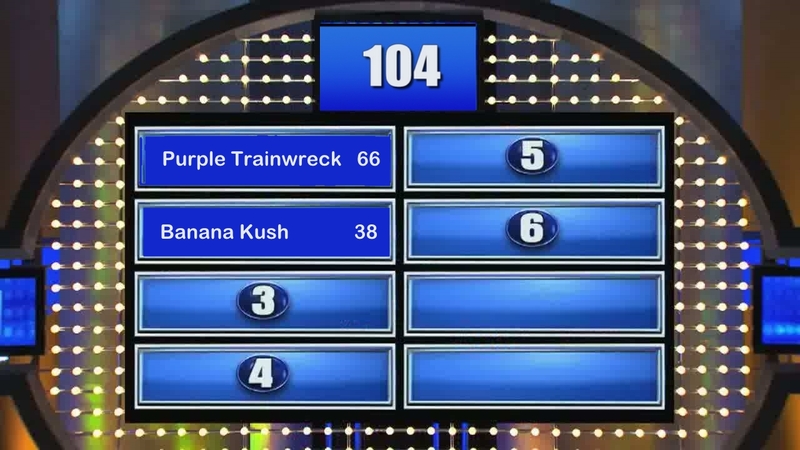 If you selected Option A, congratulations! You and Chairman Donovan are on the same wavelength. We foresee a long and brilliant career in Scarborough politics for you. If you selected Option B, well, sorry about that. Your willingness to consider the needs of the broader Scarborough community is laudable, but, alas, inconsistent with the Council’s values of exclusion and opaqueness. 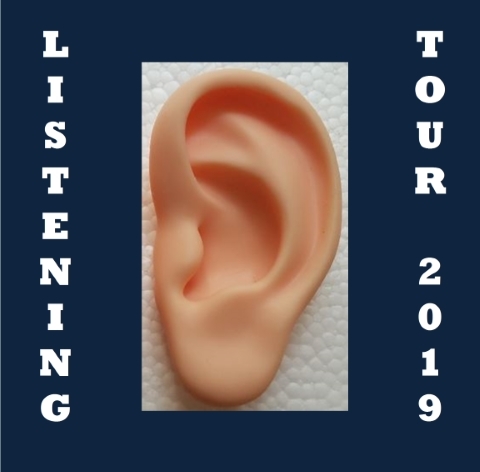 Be sure to listen carefully to the explanations given – if any – for the absence of any Town Councilors from Wednesday evening’s meeting. Remember, this will be an important meeting, especially for anyone with aspirations for higher elected office. Watch closely! One of most intriguing elements that has been added to the Scarborough School Saga recently is the existence of an anonymous letter which, according to Scarborough police “contains allegations of inappropriate behavior on the part of the superintendent, which the Board of Education has reviewed and deemed to be demonstrably false.” [Emphasis added.] The only other information we have heard about the letter is by way of one member of the public commenting at the April 11 Town Council meeting. That individual stated that the letter contained colorful references to the superintendent’s activity at an Old Port establishment. We have no way of knowing whether the individual had actually seen the letter or not, or was accurately reporting its content. Which really gets to the heart of the matter. Apparently copies of the letter went to several School Board members, the town manager and Superintendent Kukenberger’s husband. Why hasn’t the letter been made public? 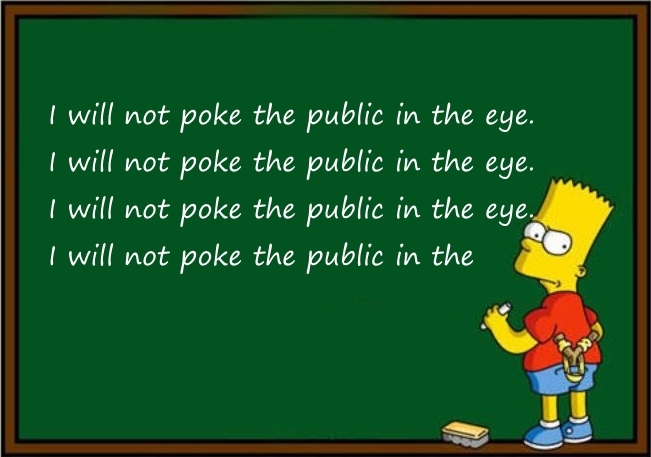 Shouldn’t the public be allowed to judge for itself whether the alleged “inappropriate behavior” is “demonstrably false?” Or whether the letter was “threatening?” No offense, School Board members, but your credibility in the community isn’t exactly at a high point, and we would like to form our own opinions. Usually when we come up against outrageous behavior by the Town Council (or a majority thereof), we encourage you to speak up and let them know how displeased you are with whatever they’ve done. Not this time, though. It would be a waste of perfectly good keystrokes. Nothing is going to stop Mr. Donovan and his cronies from ramming this election through without adequate public notice. Defeating the recall is just too important for them. It’s a do-or-die issue. If the recall succeeds, their grip on Town affairs will have been successfully challenged. And that could be the beginning of the end of their chokehold on Town affairs. So the only way to influence the future now is by voting at the recall election on May 8. If you think the three School Board members (Beeley, Shea and Lyford) should be recalled, vote YES. That’s a vote for change. If you think they should remain in office, vote NO. That’s a vote that says you want more of what we’ve had for the last two years. Well, that’s all for now folks. Please spread the word. Let’s beat them at their own game. And remember to do an early vote at Town Hall starting Thursday, April 26. CORRECTION: The original version of this blog stated that the 3,147 total vote threshold for the recall election to be valid is a function of State law. As a knowledgeable reader pointed out, the threshold is actually a function of the Town Charter. We regret the error. This entry was posted in Uncategorized on April 23, 2018 by Site Author.